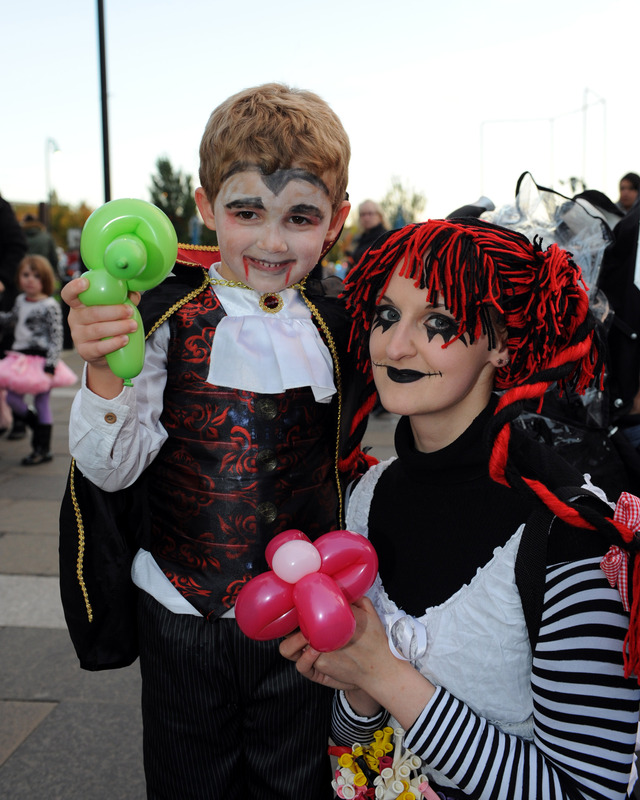 Paisley’s Halloween Festival was ghoulishly good fun for over 30,000 people who came out to the town centre for a spooktacular show of light and dark. The two-day event – ran by Renfrewshire Council – featured a dazzling fire garden with sculptures made of flame and two stunning fire show finales. The visually stunning Spark! LED drummers kicked off the festival with a spectrecal parade from Paisley Museum at 6pm. They were followed by over 200 costume-clad kids carrying lanterns, stilt walkers and a giant Loch Ness Monster. People were lining from the High Street down towards Abbey Close, where a blazing fire garden, run by outdoor specialists Walk the Plank, awaited. Giant fire-breathing lilies and glowing trees outside Paisley Abbey lit up the night while the crowds enjoyed the thrilling feast of entertainment on the Pulse FM stage, which included a second performance by Spark! LED drummers. On Saturday, kids packed into the craft tent to get creative by carving spooky faces into pumpkins, while hundreds more settled down for a good Halloween-themed movie in the cinema marquee on County Square. Other activities, held on both days, included a Harry Potter owl show, craft workshops and a sweetie room in Paisley Town Hall, plus scary story-telling and a puppet show in Paisley Abbey. In the evening, there were two more spectacular performances by Spark! LED drummers in front of a packed crowd of excited kids and adults. 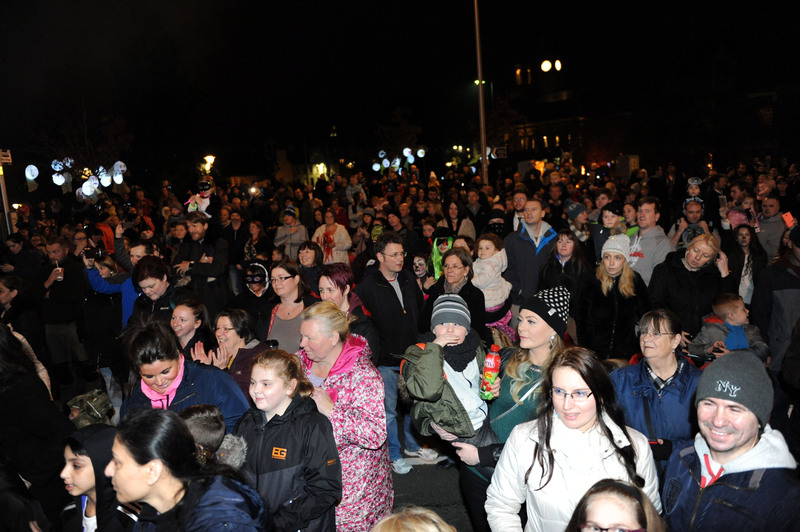 Paisley Halloween Festival is part of the push towards Paisley’s bid for UK City of Culture 2021 and is the first event of an exciting winter events programme, with the annual fireworks display the following weekend on Saturday 7 November and the Christmas Lights Switch-on headlined by 2014 X-factor winner Ben Haenow two weeks later on Saturday 14th. Council Leader Mark Macmillan said: “This is the second time we have run the Paisley Halloween Festival and it has proved to be even more popular than the first time we ran the event. 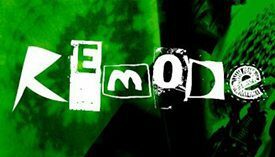 “To make the festival bigger and better we extended it into a two-day extravaganza packed with phenomenal entertainment, such as the fire garden, fiery entertainers and two different fire show finales across both nights. “It has definitely become a fixture in our growing town centre events calendar, alongside established favourites such as the Christmas lights switch on. To find out more about Renfrewshire events, visit www.renfrewshire.gov.uk/events.